Membership was always renewed on or before 1st September each year. Since 2011 new members onlycan join from the date they apply for membership and every twelve months after. To renew your membership you are obliged to have obtained at least 100 CPD points per year of which 20 CPD points must come from a Reflexology related activity. Memberships are for twelve months only from date of initial commencement. Continuous Professional Development is exactly what it says! As professional Practitioners we are obliged to continually keep abreast of Professional Developments in the field of Reflexology, Human Development, Caring for Clients, Running a Business, Holistic Healing – to name a few areas. Through the maintenance of Professional Standards we can ensure that we are delivering the most Professional Quality Service to our clients. The general public will have more confidence in selecting a therapist that has and is constantly updating their skills, and this standard of Professionalism is being monitored by the Institute Governing Body. CPD for Complementary Therapists was recommended by The National Working Group on the Regulation of Complementary Therapists which was set up by the Government and so in order to be recognised by the Government as a Professional Therapy, we need to have a competent measurable system of CPD. When did the Institute introduce CPD? CPD was introduced in 2004/2005 as a Pilot Scheme to Full members of the Institute. Then for the Renewal Year September 2006 it was expected that all Full Members of the Institute have 100 points in order to renew their membership. From 2007 CPD is a requirement for renewal, unless otherwise stipulated by the Board. CPD helps to keep us in Good Professional Standing among; The Health Professionals, other Complementary Therapy Associations, Government Bodies and most importantly our clients. All Full Members of the Institute who are fully qualified and practising Reflexologists need the required level of CPD to practice. New members do not need to collect CPD to join. However, during the year following initial membership they need to collect 100 points for renewal. Associate Members are not currently practicing professionally and so do not need CPD. However should Associate Members wish to upgrade to Full Membership they will need CPD to do so. A total of 100 CPD points are required each year in order to renew your membership of which 20 CPD points must come from a Reflexology related event. This will remain in force unless otherwise stipulated by the Board. Regardless of which course you decide to do it is important to NOTE that a minimum of 20 points each year must be obtained from a Reflexology related activity i.e. Course, Network Meeting, IRIL Workshop, Article in Feet First Journal or Attending the AGM, Radio/TV Interviews etc. If you are considering organising an event for Reflexology Awareness Week, offering Taster Treatments, you must first contactthe Board member responsible for CPD for approval. As courses differ in content and duration, we endeavor to maintain a point system that reflects such differences as best we can, by trying to make it, for the most part, ‘user friendly’. However some courses will not be awarded CPD as they are not specifically related to your development as a Reflexologists or Complementary Therapist or the running of your Complementary Therapy Business. For the purposes of the IRI Limited we see ourselves as solely Complementary Therapists and so do not recognise Beauty Therapy Training or related courses as fulfilling this requirement. NB: CPD points are not awarded to Complementary Therapy Teachers for the teaching of Courses / workshops as these are seen to be their profession and teachers in turn need to be obtaining CPD points to maintain their already high standards of practice. N.B. These courses must have both theoretical and practical content. The course provider will be expected to sign your CPD Log Sheet. We ask that you do keep your own record of course certificates but do not send these into the office when renewing your membership. We do carry out spot checks on members in the interests of transparency and from time to time ask members to provide copies of Certificates for courses attended. Course hours are Contact Hours and do not include breaks, e.g. ; A course that runs from 10.30 – 4.00 with one hour for lunch and two 15 minute breaks has four hours contact time and is a half day course. A day that runs from 9.00 – 5.30 and has the same breaks of up to one and half hours has seven hours contact time and does qualify for a full day course. You may attend other courses that are not on this list, call the Board members who have responsibility for CPD to check your course if in doubt. We ask that you execute caution when booking courses and ask the qualifications of the course giver. You are paying good money and deserve equally good input. We do not recommend one course over another; however should you experience a great Course then let us know by writing an article in the Journal (and get more CPD!). More detailed Training Courses that are run over a year or more and offer you a Diploma such as Aromatherapy Training, Hypnotherapy Training, Kinesiology Training, Teaching Adults Certificates, etc., that have continuous assessment, exams, will work differently. For each year you are studying you have obtained your 100 points and you automatically carry 100 points over for the next two years after qualification. You must still obtain 20 points from attending a reflexology related event as stated above. There are always new courses being advertised and not all of these are deemed to be acceptable for CPD. 100 Points are awarded for Serving on the IRI Ltd., Board. Board members must attend 90% of meetings held per year to qualify for CPD points. All Networks need to be registered with the Institute. 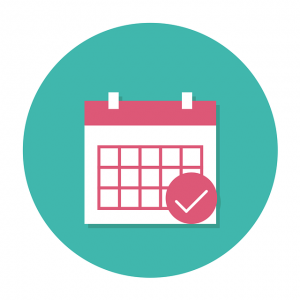 Attendance lists and dates of meetings must be sent to the office at the end of each year, for points to be awarded. For more details on Networks please contact Administration Office. IRIL office must be informed in advance of any such talks. Setting up/hosting or attending an advanced reflexology day/weekend where qualified practitioners can come together to swap treatments, share techniques/case histories to the group & bring in relevant speakers to the group. Content of such an event must be submitted to the CPD Committee for approval prior to event taking place. Organiser to sign Log Sheet. The Log Sheet for Continuous Professional Development , will record your attendance at Network meetings, Courses, Seminars, Lectures, Workshops and AGM etc., or Health Topics related to Complementary or Alternative Medicine (C.A.M). The Log Sheet is available for download from the website. Information on how to obtain the relevant credits will be found on the Web Site and any further changes or updates will be published on this site and in the Feet First Journal. It is your responsibility to keep up to date by reading the Journal. The system will record points that are carried over into the following year. Only IRI Ltd. Board Members or Course Providers may sign the attendance section of the Log. You cannot sign your own log sheet. Details of all CPD points gained each year must be included with the Annual Membership renewal form, current Insurance Document and payment before membership can be processed, or held for spot checks if members are renewing on line. The Administrator will verify these, and from time to time, the CPD Board Member will carry out CPD Spot Checks. CPD points can be carried over from one year to the next, for a maximum of 200 points for two years. For example if you accumulate 300 points in one year, you can carry these for the next two Renewal Years only and then they run out automatically. You must still however need to get 20 points from attending a reflexology related event each year. A membership year in the institute runs from September to end of August. Or for new members from date of application to the last day of the month before it is due to expire. In the interests of Transparency and Accountability the Institute has decided the above regulation of CPD and we hope that you the Membership will work with us and one another in continuing to maintain the High Standard of Professionalism that exists in the Institute which puts us among the best Practitioners in the World. Assessment is not currently necessary on CPD courses for the awarding of points, though where applicable assessment can take the form of a Multiple Choice quiz, an essay or case study to be submitted or practical marks given. If you have just qualified, you are exempt from CPD until after your first renewal of membership. We will allow six months maternity leave from obtaining CPD points. Then you will be required to send in a copy of a Doctors Note stating the date you gave birth. You must obtain 20 Reflexology Related CPD in the year you take maternity leave to qualify for renewal of membership. If you are ill for over six months. In this case you must send a Doctors Note at time of illness to the Board member with responsibility for CPD. Each case will be dealt with separately. We are aware that from time to time unexpected events can happen and thus members are not as free to seek out and do courses. We have decided that if you continue to Practice Professionally then you are obliged to get your CPD. This is the requirement in all fields where CPD is currently operating. For this reason we suggest that you never leave the getting of points until the end of the year. CPD has been running successfullly since 2006 and well done to all of you who have complied with the system. Should you be experiencing difficulties with the system do not hesitate to contact the IRIL Board Member with responsibility for CPD only.